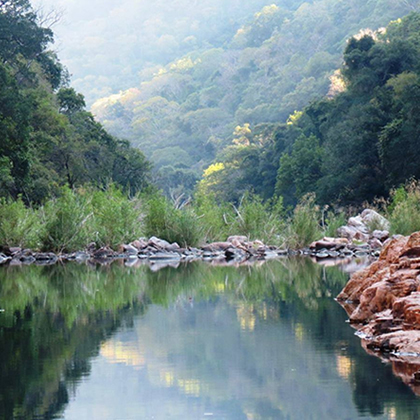 Chizarira National Park is one of Zimbabwe's largest National Parks, covering just under 2,000 square kilometres of isolated and rugged wilderness. Situated in north-western Zimbabwe on the line of the Zambezi Escarpment, it is also one of the least known Parks, with limited visitor infrastructure and retaining a pristine natural aspect. 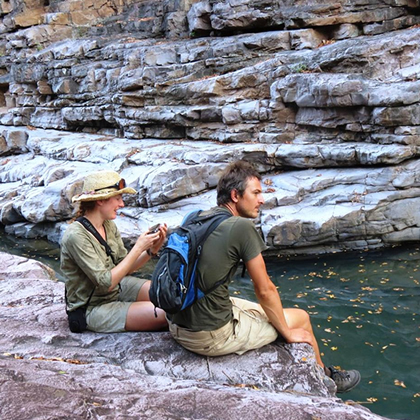 Hidden gullies, ravines and rivers transect the escarpment, the haunt of eagles and falcons, with spectacular viewpoints extending over the Zambezi Valley to Lake Kariba. 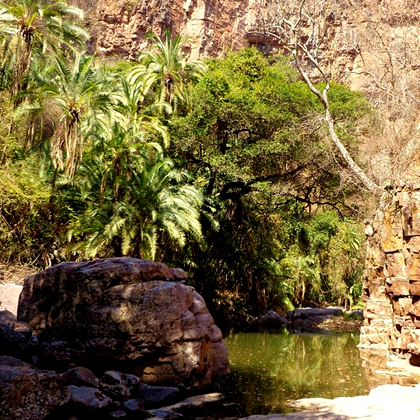 The Park's name derives from the Tonga word sijalila ('great barrier'), a reference to the great near-vertical 500m Zambezi Escarpment with it transects. 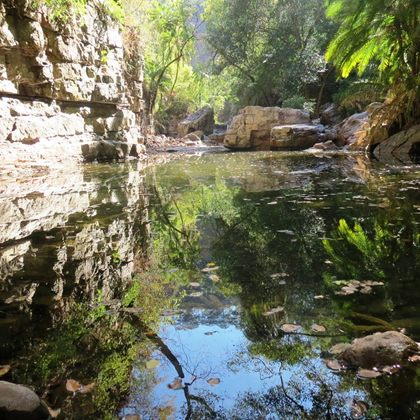 The park supports a diverse flora and fauna, covering a succession of ecological zones, ranging from lowveld valley vegetation to highveld broadleaf woodland, and is especially notable for its reptiles and birds. The park does not support large herds of big game, although many species are present in low numbers, including elephant, buffalo and lion, making it less of a draw for those in search of the 'Big Five', or photographic wildlife-viewing safaris. 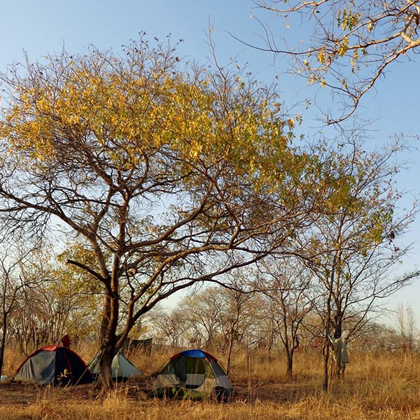 Instead Chizarira offers remote wilderness walking in stunning landscapes, perfect for those wishing to get away from usual game-drive and safari lodge tours and looking to experience the 'real' African wilderness on paths less travelled. Chizarira was designated a non-hunting reserve in 1938 and as a game reserve in 1963, and declared a National Park under the Parks and Wild Life Act (1975). 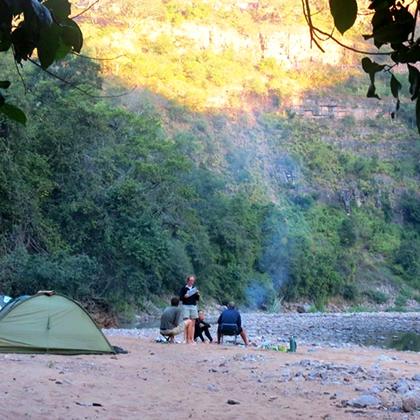 Our Chizarira trips are Hiking Safaris where camp is established each night along the route. Clients are expected to carry their own personal gear, including regular camping equipment such as tent, sleeping bag and mat, etc. 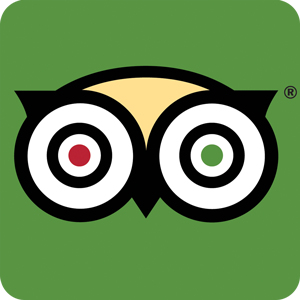 All kitchen equipment and food is provided and carried by our team. The safari is accompanied by our cook and camp crew who will help with the carrying of food and equipment and do the camp chores along the way. We also offer a fully portered option for those wanting to be unburdened from their pack. Hiking offers the opportunity to explore the remote isolated wilderness areas of the Park, a landscape of dramatic beauty. The usual pattern of the day will be a hike to a new camp location, followed by a 'free' hike (without backpacks) in the afternoon, although this of course varies depending on the amount of ground to be covered between camp locations. The last day we drive out to Msuna on the edge of Lake Kariba where we will do a sunset cruise and spend the night in a comfortable lodge. As well as all the major National Parks in Zimbabwe, Leon also leads private guided safaris to selected destinations across sub-Sahara Africa, exploring the source of the Zambezi in Zambia or the floodplains of the lower Zambezi in Mozambique, to the heights of Kilimanjaro in Tanzania. Contact us direct to discuss options for privately guided safaris to the destinations of your choice.